Banks Fire District will be holding a babysitting class on Saturday, May 11th from 9 am to 3:30 pm. Class is open to students 11 yrs to 15 yrs. Cost is $50. Call 503-324-6262 for registration information. 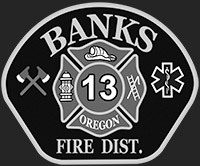 The Banks Fire District Board of Directors Meetings are held the 2nd Wednesday of each month at 6:00 p.m. at the Banks Station, 13430 NW Main Street, Banks, Oregon. For a copy of the current agenda please click on the Resources tab and then select Board Meeting Agenda. Banks Fire District now has five car seat technicians and will be doing free car seat inspections on the following dates from noon until 2 p.m. November 17th-Banks Station, December 1st-Banks Station, January 5th-Banks Station, February 2nd-Buxton Station, March 2nd-Timber Station, April 6th-Banks Station, May 4th-Banks Station, June 1st-Banks Station. Please call 503-324-6262 to schedule your appointment. 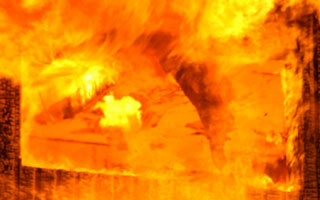 Want to volunteer for Banks Fire District? If you are interested in volunteering for Banks Fire District and serving your community click on the Resource tab. 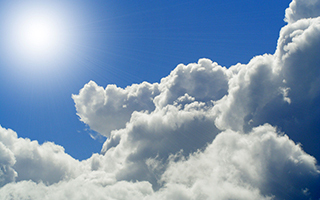 Take a look at the various applications and the FAQ's. Banks Fire District is very proud of it's volunteer history. We currently have a strong volunteer force and are always looking for new volunteers. If questions call the administrative office; 503-324-6262. Help us help you by posting an address marker at the entrance of your residential property. Address markers can be ordered through the Banks Fire District Administration Office, 13430 NW Main Street, Banks or by calling 503-324-6262. 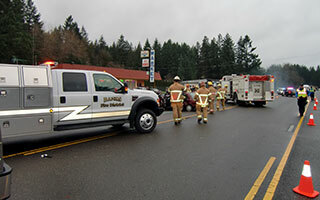 Established in 1954, Banks Fire District #13 provides fire and rescue services to 136 square miles in northwest Washington County, Oregon, serving the communities of Banks, Buxton and Timber. This region, known for its scenic beauty and moderate climate, is mainly rural with close ties to the Portland metro area. Sixty highly trained volunteers respond to more than 500 calls annually, ranging from cardiac emergencies to wild-land fires. The Banks, Buxton and Timber communities are cummunities that have always enjoyed tremendous citizen involvement. Whether it's volunteers keeping the summer sports going or taking care of the food bank, the Banks, Buxton and Timber community members know the importance of giving back to the community. Because of this culture of giving Banks Fire District continues to provide emergency service with a committed, highly trained volunteer and paid firefighter force. Our staff not only provides a tremendous value to the taxpayers but care greatly about protecting the area they live in.